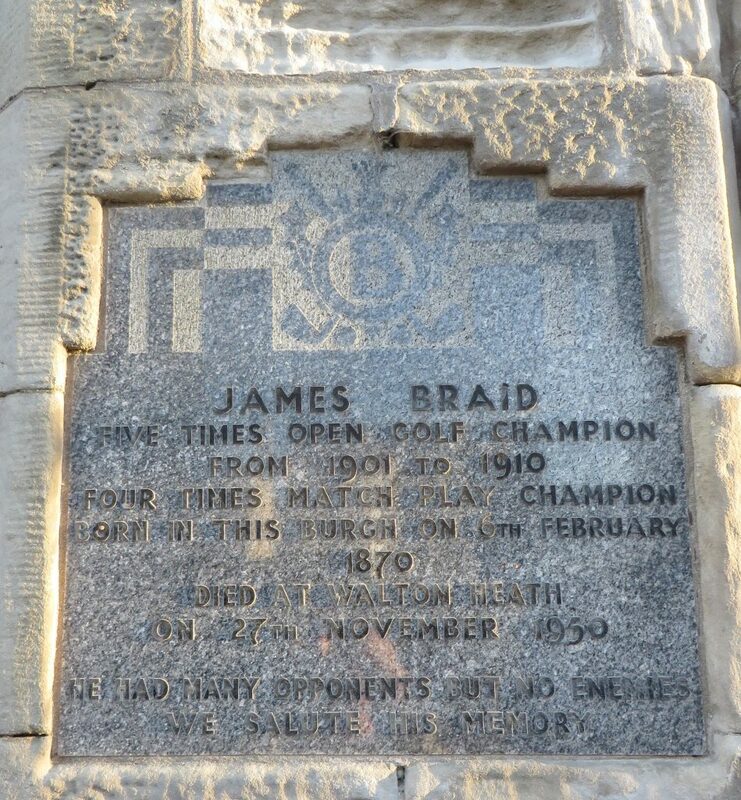 James Braid (6 February 1870 – 27 November 1950) was born in Liberty the adjoining village to Earlsferry in 1870. He was known locally as “Jamie”. The house in which he was born is no longer there but it was where the garage was on the north side of Liberty opposite the Stables. His father was designed in Jamie’s birth certificate as a ploughman working at Grange Farm. The son of James and Mary (née Harris), his mother was born in Broomlees Farm one of a family of four. When she was 5 her father and mother moved to Dumbarnie Farm near Largo. Her parents then moved to Grangehill Farm and Mrs. Braid (Miss Harris as she was) became one of the Earlsferry Weavers. Jamie went to the school in Williamsburgh situated in Siward Lane. In 1882 his parents moved to Earlsferry and lived in Linmara in Earlsferry High Street where the family lived until his mother’s death in 1927. His father died in 1913 but his mother survived until she was 93. He played golf from an early age, learning to play as a member of Earlsferry Golf club and he played on the links at Earlsferry.He joined Earlsferry Thistle when he was 15 and at 16 had a handicap of scratch and held the course record at Earlsferry. He worked as a joiner firstly in St. Andrews and then Edinburgh and possibly he may helped out as an occasional clubmaker under George Forrester before turning professional in 1896 shortly after he went to London to make golf clubs at the Army and Navy Store. He was a very tall man for his time and one of his difficulties was finding a golf club , particularly a driver which suited his height. The story goes that one day a gentlemen, John Berwick, who himself was tall at 6 feet 4 inches, came into Forrester’s shop and asked him to sell a driver for him which he found too long. It seems that Forrester bought the driver from the customer and Jamie Braid tried it out with conspicuous success. Forrester bought the driver for 1 shilling and sold it to Jamie Braid for one shilling and sixpence. It was the making of Braid as a golfer. He found that his length off the tee was considerably greater than his contemporaries and he put this extra length to good use. His putting however was always in his early days his weak point, but he overcame this after switching to an aluminium putter in 1900. He won the Open Championship in 1901, 1905, 1906, 1908 and 1910. In addition, he won four British PGA Matchplay championships(1903, 1905, 1907 and 1911), as well as the 1910 French Open title. 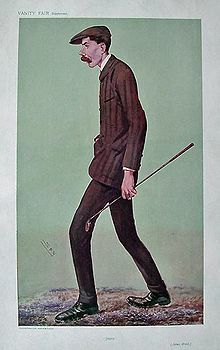 He was also runner-up in The Open Championship in 1897 and 1909. His 1906 victory in The Open Championship was the last successful defence of the title by a European for over 100 years until Padraig Harrington replicated the feat in 2008. In 1912, Braid scaled back his tournament golf, and became a club professional at Walton Heath. 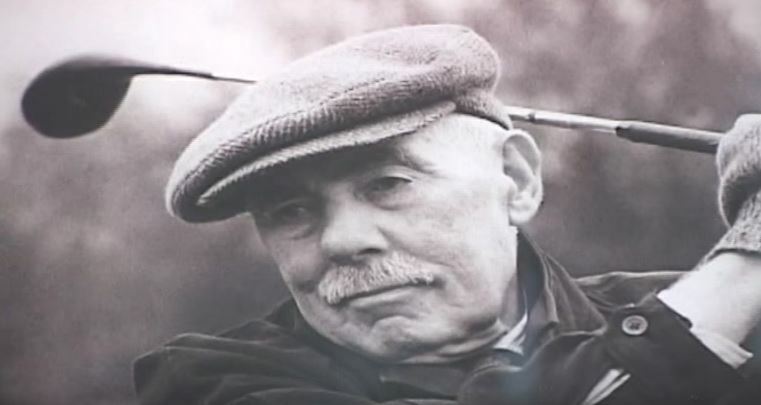 He developed a very successful career in golf course design, and is sometimes regarded as the “inventor” of the dogleg, although holes of similar design had been known for centuries (for example, the Road Hole at the Old Course at St. Andrews). Among his designs are the “King’s Course” and the “Queen’s Course” at Gleneagles and indeed the Kings Course at Gleneagles has a hole named “Braids Brawest” – the 13th. He also advised Elie Golf House Club on at least two occasions in relation to the layout of the course and suggested many alterations that are still operating today. He is noted as having visited Elie in 1926 to advise on the layout. He remodelled The Open Championship venue at Carnoustie. He died in London on 27 November 1950. Although there was an earlier newspaper report of his death in an accident in one of the London stations in 1916 which fortunately turned out to be an error. 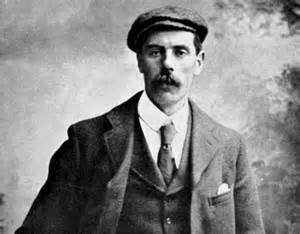 James Braid’s life was written by the then doyen of British golf writers the late, Bernard Darwin. They first met 1898. So, as Mr Darwin wrote in his foreword to James Braid, he had “the happiness of knowing him for 52 years and watching him play and occasionally of playing with him when he was at the height of his fame as a golfer.” For many years Braid was honoured with the title of ” the grand old man of golf.” It was a tribute to the unique place he had won for himself in the affections of golfers everywhere. Even in his lifetime this shrewd and kindly Scot became a legendary figure. 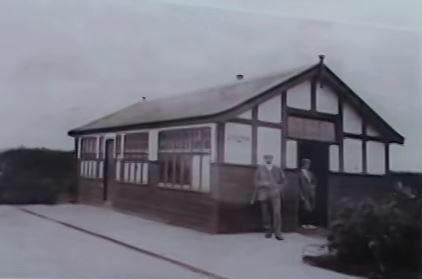 It was 1893 that Braid, the unknown young joiner from Elie in Fife, took single ticket to London, where a job awaited him golf club maker in the Army and Navy Stores — and Braid had never made a club in his life. Three years later he turned professional and set his feet on the path that was to carry him to the pinnacle of golfing fame. He was always man of few words. He was essentially shy man. Yet, in spite of his silent and undemonstrative nature, he had a remarkable power of inspiring affection. When he did speak his remarks were to the point and often lit with a sly twinkle of humour. When he died he left £29,297 and no will.